The Galaxy S5 was released less than 9 months ago, but this is doing little to stop the rumor mills from cranking out juicy possibilities at a near frantic rate. The Galaxy S series flagship phones will undoubtedly receive an update before long, and an aluminum construction with a curved screen is a distinct possibility. Galaxy S series fans has been clamoring for a change in the body construction. A metal frame is sturdier and more resilient than the plastic materials so common in today’s market. 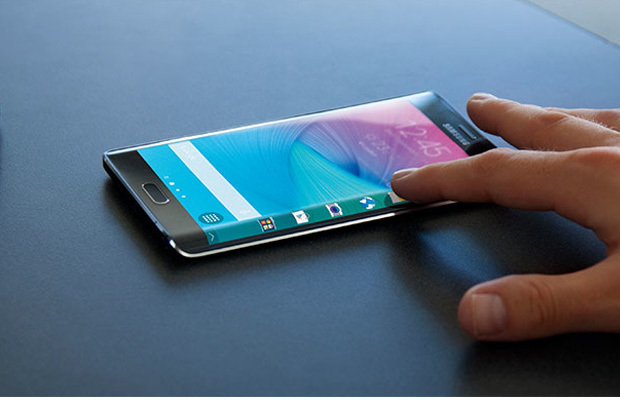 The world saw a curved screen released within Samsung’s 2014 offering in the form of the Galaxy Note Edge. And if the rumor holds true, we could reasonably expect a double sided variant in the Galaxy S6. Given the recent propensity of Samsung to not drastically differ from one iteration to the next, it may almost seem likely this will happen. Samsung has not voiced any comments on the future of their flagship lines. History shows an announcement is most likely coming at MWC 2015 in Barcelona rather than CES in Las Vegas. The early months of 2015 will tell the tale on where in the galaxy Samsung will take us next.